Privacy - Entera Health, Inc.
Entera Health, Inc. (“Entera Health”) respects the privacy of visitors to our websites and is committed to maintaining your privacy when you visit. Entera Health will only collect your personally identifiable information when you voluntarily provide it to us. From time to time, we may refer to this information to better understand your needs and how we can improve our services. We may use this information to contact you; Entera Health’s policy is to never use visitor information without their permission. 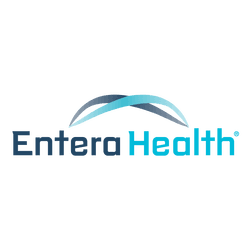 In addition, Entera Health does not sell, lease, lend, loan, rent, or otherwise distribute visitor names or contact information to any outside entity. We also comply with the requirements of the Health Insurance Portability and Accountability Act of 1996, otherwise known as HIPAA, with regard to private personal medical information. As many other companies do, Entera Health also measures the performance of its websites, in order to improve and customize it in favor of our visitors. Entera Health’s websites may use a technology called “cookies.” Generally, a cookie assigns a unique number to the visitor that has no meaning outside the assigning website. The purpose of this technology and the information it provides is to help us improve our websites. Most web browsers allow the user to deny or accept the cookie feature. Please note that cookies may be necessary to provide you with certain features available on the Entera Health’s websites. In all cases in which cookies are used, neither Entera Health nor any third party will use the cookie to collect personally identifiable information unless you voluntarily agree to enter the information. Because Entera Health values your privacy, we have taken the necessary precautions to be in compliance with the California Online Privacy Protection Act. Therefore, Entera Health will not distribute your personal information to outside parties without your consent. Entera Health is in compliance with the requirements of COPPA (Childrens Online Privacy Protection Act); we do not collect any information from anyone under 13 years of age. Entera Health’s websites are all directed to people who are at least 13 years old or older. This policy was last modified on September 26, 2017. Copyright © 2017 Entera Health, Inc. All Rights Reserved.